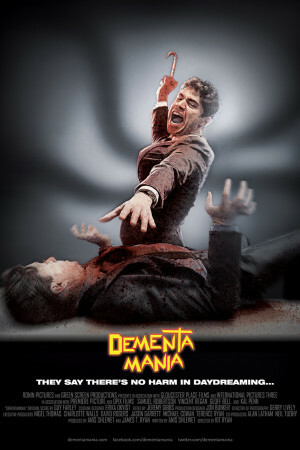 Dementamania tells the story of Edward Arkham, (Samuel Robertson) a man frustrated with the social injustice he must face every day and the bureaucratic culture of the office he works in. Edward is at boiling point. Although successful in his job, working for a leading IT consultancy, years of routine have taken their toll, his work now seeming so unbearably monotonous, fueling his frustration and bitterness. When Edward is stung by a mysterious bug, it results in a painful and aggressive rash. It also unlocks the door to a secret world inside his head, causing nightmarish fantasies within vivid hallucinations. As the rash spreads and threatens to envelop his entire body, his visions become more real and reality begins to drift further away. Are these apparitions solely bound to the confines of his mind or are their other unknown forces at work and is he part of something more sinister than he could possibly imagine?